Self Hypnosis Training: What is The Best Way to Learn? The question I get asked most from people interested in self hypnosis training is “What is the best way to learn Self Hypnosis?" Over the past twenty years I have given self hypnosis training to hundreds, possibly thousands of people. For the first ten years, all my self hypnosis and mind power technique classes were given in multi-day workshops. Honestly in those days, I didn’t think an online format COULD work. Was I wrong! With all the interactive tools available not only CAN you learn self hypnosis online—but in my opinion, the results are better. What makes Self Hypnosis training better Online? Yes, I know the convenience is a BIG factor and the reason why many people learn self hypnosis on the web. As a trainer though, it is more important to me that you “get it” and “use it.” So let’s put the obvious convenience aspect aside and focus on the training itself. Learning self hypnosis online, gives you the benefit of shorter classes spread out over a longer period. That means that each week you get to practice and apply what you have learned before learning the progressive next step. That is better for your practice AND you begin making a habit of regular practice right from the get go, so you are more likely to continue using the techniques. When you take a 2-day crash course, most of the time you don’t even know WHAT your questions are. By taking self hypnosis training online you have the ability to ask questions every week AND in between sessions via email. Plus you get the benefit of seeing the answers to OTHER people’s questions. In a two day crash course a lot of information is shared but did you know that less than 40 % is heard? Only a small percentage of what you hear, is actually retained. IF the student goes home and begins reviewing and practicing immediately they can still be very successful. But typically when people return from a weekend training they have so much to catch up with, that it takes them several days before they begin to apply what they have learned. In the online course, there is more teaching time AND it is done in smaller pieces. So there is always time to review. Plus in between sessions I share additional tips and advice. You have access to the recordings of the classes and the exercises so you can easily review and get as much guided practice of each session’s techniques, as you choose. By the time the four-week course is over, you will be an experienced practitioner. Once you are my student, I am always happy to answer your questions. I invite all my students to share their experiences and help one another. If you choose you can meet like minded friends for life. What can you do with self hypnosis? Please follow link. 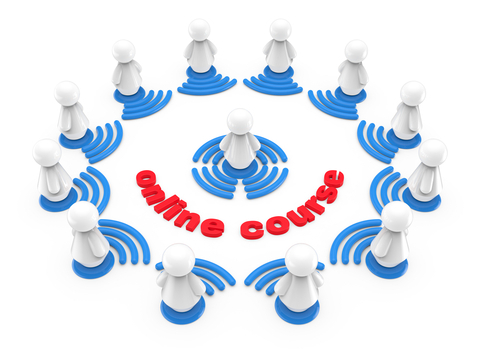 What is covered in the online self hypnosis course? Really this is Self Hypnosis, the complete guide. For more information about our online training program schedule please fill out your information below and we will send you information about the next course.